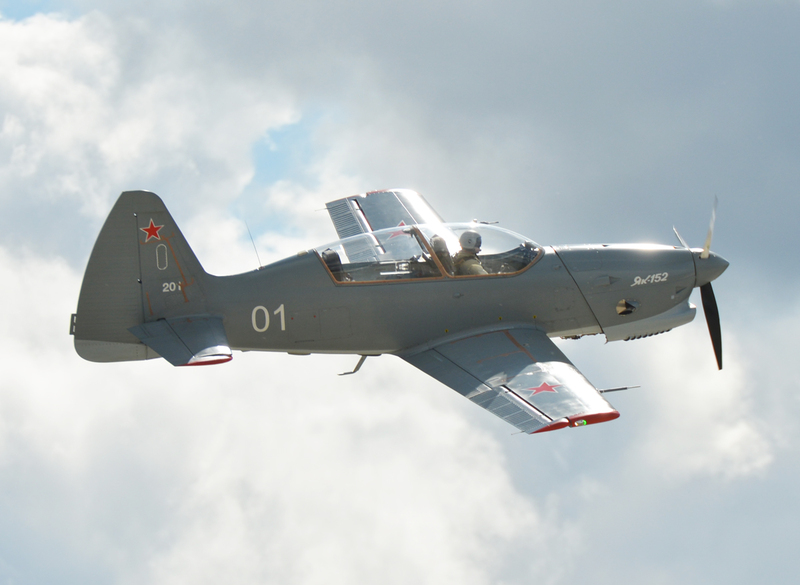 Russia’s Air and Space Force (VKS) is revisiting its options for an affordable aircraft for initial and basic training after the SAT SR-10 effort came to a halt and Yakovlev’s Yak-152 encountered engine issues. Earlier, the service planned to buy 150 Yak-152s to replace the same number of Aero L-39s that have been in VKS service since 1971. The need for an affordable trainer arises from two major considerations. The Yakovlev Yak-130, already in squadron service and quantity production, is good for advanced training and in-type training. Its digital flight control is reprogrammable to emulate handling qualities of various aircraft types in VKS service, from agile fighters to heavy airlifters. At the same time, it is too heavy (max gross weight nine tonnes), technically complex and expensive an aircraft to be used for initial and basic training. Second, the Yak-152 that has been in flight test for two years is receiving mixed reports. Critics argue that the German-built RED A-03T V12 engine, selected before the chill in relations between Moscow and the West, is no longer suitable, due to the import substitution call from the Kremlin. Replacing it with a Russian alternative, such as the VMZ M-9F piston or Klimov VK-800 turboprop, would require considerable changes to the current design. Meanwhile, the powerplant is also an issue for the SR-10 lightweight single-engine jet with forward-swept wing, which was previously selected. The only operable prototype, registration ЕХ-88004, relies on a powerplant developed by Ivchenko-Progress and manufactured by Motor-Sich, both in Ukraine. The government in Kiev has banned military exports to Russia. ЕХ-88004 flew daily at the MAKS’2017 show, demonstrating admirable flight performance, but was grounded shortly thereafter. The aircraft received positive comments from VKS pilots for ease of handling and simplicity. The defense ministry provided some funding for R&D and flight testing but has so far been reluctant to finance serial production. Moreover, the Modern Aviation Technologies company—Russian acronym SAT—that designed the SR-10, is a small privately held firm with insufficient resources to set up a manufacturing line that would meet the MoD’s criteria for the products it buys from the industry. The SR-10 was designed as a direct replacement for the L-39C, both aircraft being powered by the AL-25TL. The use of composites in the airframe reduced maximum gross weight to less than two tonnes. To date, the first part of the SR-1’s flight trials has been completed. Without re-equipping the aircraft with the NPO Saturn AL-55 engine, there is little point in proceeding. Developed for India’s HAL HJT-36 Sitara jet trainer, the AL-55I underwent 500 hours of bench trials, but further work was halted due to the intended aircraft being shelved indefinitely. Both the SR-10 and AL-55 require further modifications, which are expected to be complete by the end of the year, with the state acceptance trials likely to resume in early 2019. Contacts with UAC, which represents the only full-fledged aircraft manufacturer to satisfy the MoD’s criteria, to build the SR-10 seem to have led to nothing. The corporation appears more inclined to talk the primary customer into buying aircraft developed by its own design houses, and they have numerous projects that may potentially meet the VKS demand for affordable trainers. Apart from the Yakovlev Yak-152 and Sukhoi Su-29, UAC has recently suggested that the MiG AT twinjet program, halted several years ago, might be resumed. The Yak-152 and Su-29 options are often criticized by “old school” generals, as they believe that a novice aviator coming into the profession from propeller-driven trainers are “spoiled” as fighter pilots. They prefer them to commence flying in a jet while limiting propeller-driven aircraft to screening purposes.